ctrl-alt-del.cc: Windows 7 Haz Cheezburgerz! Came via e-mail from one of 'marketing' guys so I don't know the real origin (except obvious one) but the sender's comment was spot on! Look at the monster burger. 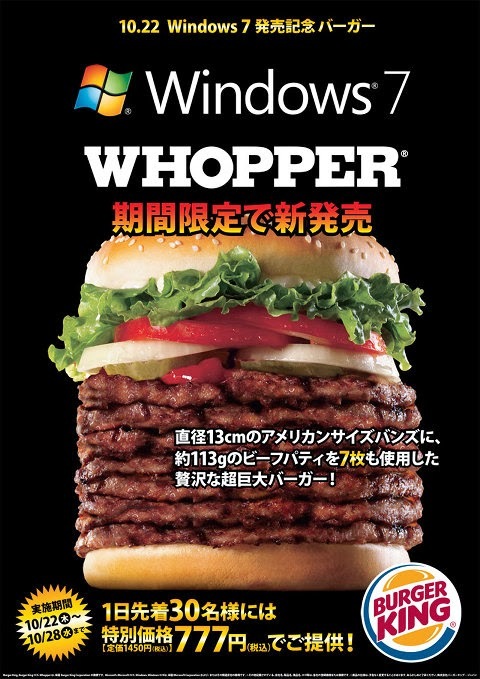 It's five inches tall and of course is made with seven beef patties in honor of Windows 7. What's the message here? Eat this burger to feel as slow and bloated as Windows? I don't get it.